Civic organization leaders are responsible for guiding the development of their communities in order to offer an enhanced lifestyle for the citizens and to create an environment that attracts new residents and businesses. If you are a member or leader of local civic associations, service clubs like Kiwanis, Lions, Elks, Moose, and Rotary, and volunteer clubs at places of worship, you can be a great ally for language learning and you can offer a forum to reach diverse groups and explain how language learning can benefit your members. Be sure to invite your local schools’ language educators and their students to come to your meetings and discuss the benefits of their programs. 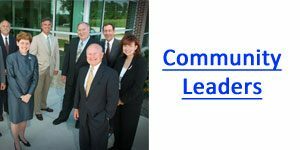 Community organizations exercise substantial influence with those in local government and school administration who control the budget purse strings. Encourage your members to let these officials know that you support a strong investment in language education. This video addresses the shortage of Foreign Language Speakers in Government and the impact on national security.